The Earl was keen to provide the finest of parish churches for the Catholic community in the nearest town to his Alton Towers seat. As an enlightened Victorian landowner, he specified that construction should be entrusted to “resident artisans of the village” so that “all his dependants should…be benefited by the effects of his munificence”. His architect set out to present “a perfect revival of the English parish church of the time of Edward I, decidedly the best period of pointed architecture”. There were a few compromises, especially after the £5,000 budget overran, but in essence St Giles’ represents the physical embodiment of the architectural ideals of the first and greatest of Gothic Revival designers. The two great rules for design are these: first, that there should be no features about a building which are not necessary for convenience, construction or propriety; second, that all ornament should consist of enrichment of the essential construction of the building. 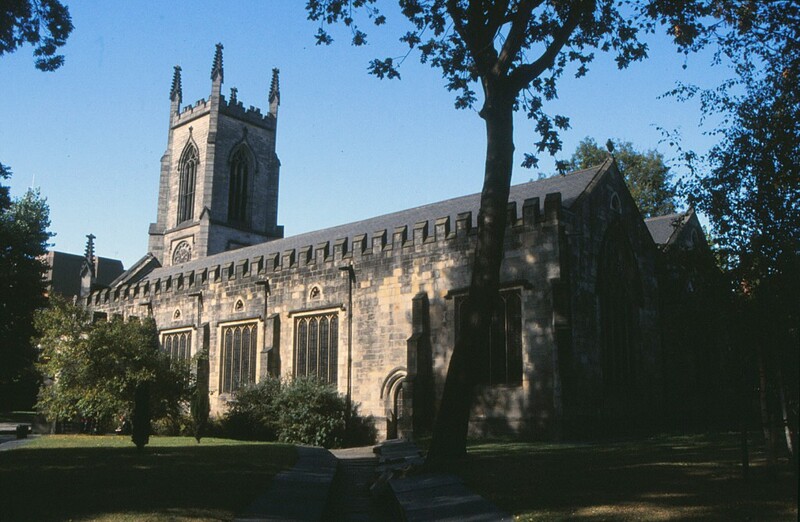 St Giles’ dominates the skyline for miles around Cheadle, and impresses at close quarters, because the structural features, particularly the 200ft-high tower and the buttresses, are in fact larger than they practically need to be. Pugin also tweaked the west-east orientation to make best use of the site and to align the west door with the street opposite. The interior of St Giles’ takes the breath away. Every inch of wall and column is coloured and gilded. Each of the windows has tracery of a differing design. The floor is tiled, and the roof is of English oak. The painted decoration has tremendous impact: the ground colours of the north aisle (blue) and the south aisle (red) represent respectively Our Lady and Our Lord. The glass, floor-tiles, woodwork and ornaments were designed by Pugin, who closely supervised their manufacture. St Giles’ is special because it is almost entirely the vision of one superbly talented designer. By the time of the consecration on St Giles’ Day, September 1st 1846, Pugin was putting himself under the stress that five years later led to a complete physical and mental breakdown. It seems as if he was destined for a short life of brilliant achievement. He adored the place – “my consolation in all afflictions” – and in many ways it is his finest monument. He would demur, and no doubt assert that it was built ad majorem Dei gloriam – for the greater glory of God. A guided tour of St Giles’ Roman Catholic Church is included in the Pugin and the Gothic Revival (September 18th-22nd 2019) tour. For details please click here. This entry was posted in Pugin and the Gothic Revival, Sacred Places, Survivals & Revivals: past views of English architecture, Victorian Architecture on September 15, 2015 by Mike Higginbottom. Alongside the spectacular dwelling at Alton Castle, George, 16th Earl of Shrewsbury commissioned Augustus Welby Northmore Pugin to build a complex of philanthropic buildings that came to be called Alton Hospital – certainly not a medical facility as the word is now used, nor entirely what we’d now call a “hospice”. 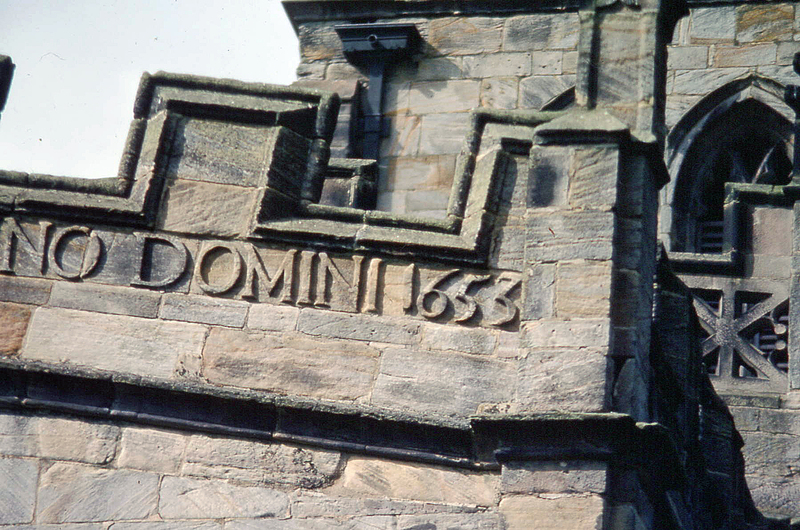 It was to be a hospital according to the medieval concept,– that is a complex including a chapel, schoolroom and almshouses for “decayed priests”, which Pugin came to describe with his customary enthusiasm as “a perfect revival of the true thing”. Pugin was an artistic genius and an irrepressible personality. As a convert to Roman Catholicism he had developed a rigorous aesthetic philosophy that Britain, as a Christian country, should maintain the traditions of the pre-Reformation Church, in its architecture as much as in religious observance. To Pugin, Gothic was a matter of purity and integrity, and not merely a decorative style. He had come to the Earl’s attention, and was entrusted with significant extensions to the main house at Alton Towers, as well as Alton Castle and the Hospital. I implore and entreat your Lordship, if you do not wish to see me sink with misery, to withdraw that dreadful idea about the alteration to the hospital. I would sooner jump off the rocks than build a castellated residence for priests. I have been really ill since I read the letter…for heaven’s sake, my dear Lord Shrewsbury, abandon this suggestion which must be a device of the Devil to spoil so fair a design. The Earl, a sincere and tolerant man with a fat cheque book, was inclined to indulge his brilliant protégé’s striving for perfection. The design of Alton Hospital consists of three sides of a quadrangle, with the Guildhall, comprising a school and village institute, almshouse accommodation, latterly used as a convent, and a chapel, which now serves as the parish church of St John the Baptist. Pugin and the Earl died within two months of each other in 1852 and the earldom and the Alton Estate soon afterwards passed to a Protestant branch of the family. 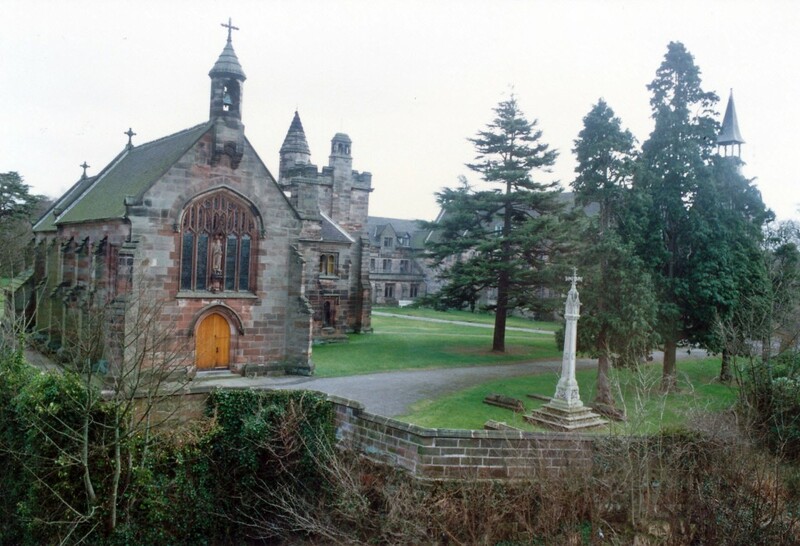 Nevertheless, the buildings survived intact and in use, and are now part of a Catholic residential centre administered by the Archdiocese of Birmingham. A guided tour of Pugin sites in Alton village is included in the Pugin and the Gothic Revival (September 18th-22nd 2019) tour. For details please click here. This entry was posted in Pugin and the Gothic Revival, Survivals & Revivals: past views of English architecture, Victorian Architecture on September 11, 2015 by Mike Higginbottom. One of the most original churches in Liverpool is the Gustav Adolfs Kyrka, now known as the Scandinavian Seamen’s Church, a rendering in brick of the Nordic stave church [http://en.wikipedia.org/wiki/Stave_church]. It was built to minister to the pastoral needs of the transitory population of around fifty thousand Scandinavian seamen and emigrants in Liverpool in the early 1880s. It was completed at a cost of 50,000 Swedish crowns in 1884. Designed by William Douglas Caröe (1857-1938), who was the son of the Danish Consul in Liverpool and a pupil of the architect John Loughborough Pearson, its octagonal form and pyramidal roof with stepped gables and a spectacular concave lead and timber spire highlight its Scandinavian associations. The minister’s house adjoins the church. The original worship space was up a half-flight of stairs and consisted of a galleried octagonal space with an open timber vault. This was floored at gallery level in 1956-61 to create social and recreational space, and as the numbers of seamen visiting Liverpool declined the congregation adapted to serve the needs and welfare of the Scandinavian community in the city and its surrounding region. Four plaster reliefs, originally part of the reredos and now relocated to the staircase, are by Robert Anning Bell. Two sculptures, the Madonna and Christ, are by the Liverpool sculptor Arthur Dooley. The bell from the former Norwegian Seamen’s Church at St Michael-in-the-Hamlet hangs beside the altar. 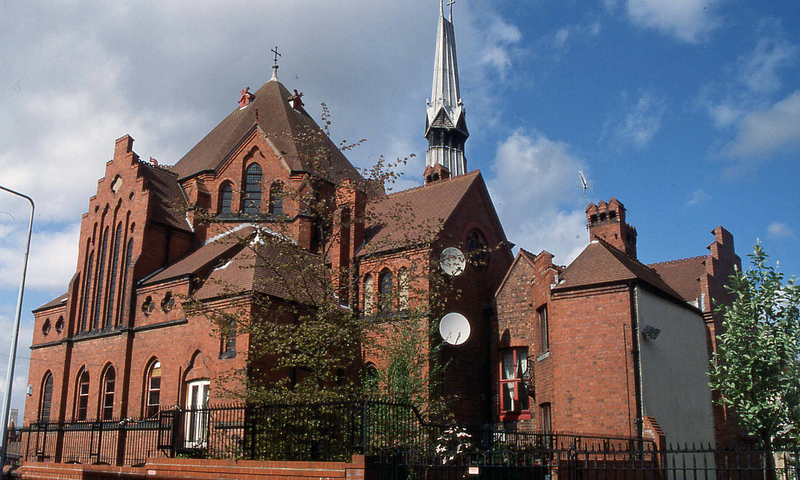 The Gustaf Adolf Nordic Congregation in Liverpool operates as the Nordic Church and Cultural Centre, providing a base for Danes, Finns, Icelanders, Norwegians and Swedes in the district and maintaining their unique building for future generations. Visitors are made welcome, particularly at events: http://nordicliverpool.co.uk. The buffets are memorable. 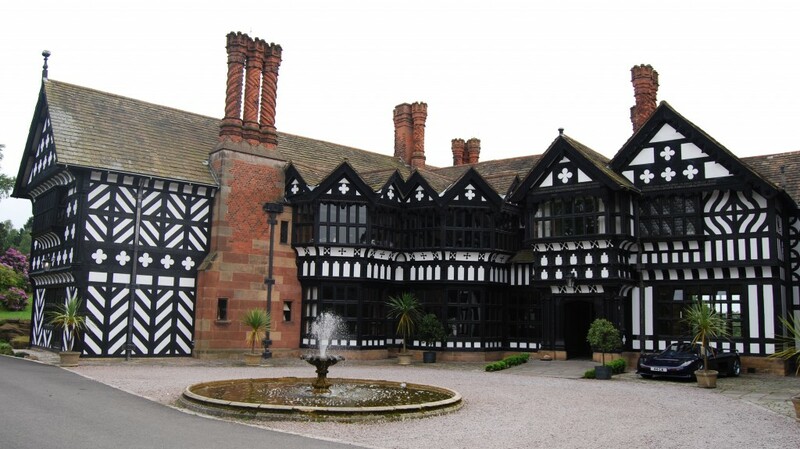 This entry was posted in Liverpool's Heritage, Sacred Places, Survivals & Revivals: past views of English architecture, Victorian Architecture on January 9, 2015 by Mike Higginbottom.